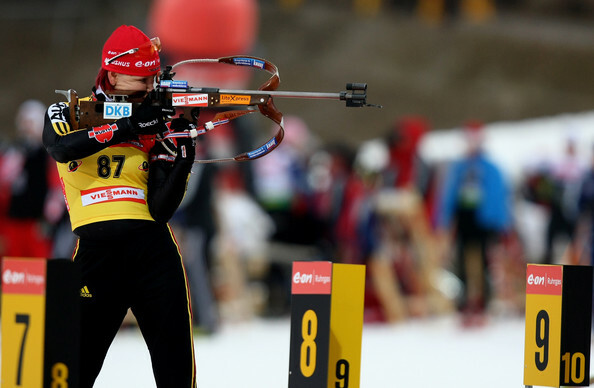 The Biathlon World Championship got underway this weekend in Pyeongchang, South Korea, and what an eventful start it’s been. The weekend began with the news that three members of the Russian team had been banned following failed drugs tests, two from the women’s and one from the men’s events, all very strong contenders. In addition, the track had to be entirely covered with artificial snow to make the event even possible, after warm weather had melted all of the natural covering, leading not only to speculation that the later men’s event would be even more difficult to undertake, but also complaints from competitors and team managers that the snow covering was unsuitable. As if the problem of snow wasn’t sufficient, the track’s location near a wind farm was indication enough of the rather difficult atmospheric conditions for shooting, but as the weekend unfolded it became clear that the adverse conditions would only play a supporting role to the actions of the competitors.